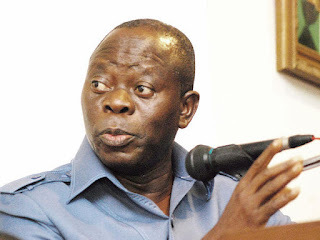 For eight hours last Sunday, the National Chairman of the All Progressives Congress (APC), Comrade Adams Oshiomhole, was held hostage at the Department of State Security Service (DSS) at the behest of some governors and some forces in the party to force him to resign. Oshiomhole, however, stood his ground and rebuffed the pressure mounted on him to resign. He told the DSS that he committed no crime and would therefore not resign, no matter the intimidation. Although the APC chairman was caught unawares, he maintained his stand even when DSS officials tried to invoke the name of President Muhammadu Buhari. He pointedly told them that the President was in the know of all that happened during the APC primaries and that it was their collective resolve not to allow imposition of candidates by anybody, no matter his status in the party. It later turned out that some security operatives had plotted Oshiomhole’s resignation with about six APC governors. The plot to lay ambush for him was hatched by the affected governors in connivance with some powerful forces who were aggrieved over the outcome of the recent primaries of the APC.